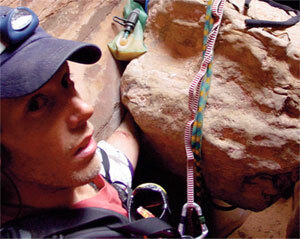 If you’re familiar with the Aron Ralston story, you’ll understand why you should never hike alone. Ralston, an avid outdoorsman and adventurist, became trapped in a slot canyon while hiking through Utah’s Blue John Canyon in April of 2003. While descending the slot canyon, a massive 800-pound boulder became dislodged, crushed his right hand and trapped him against the canyon wall. Not only was Ralston alone, but nobody was searching for him because he hadn’t informed anyone of his plans. He was stuck for more than 5 days before freeing himself by amputating his arm with a multi-tool. Amazingly, Ralston survived to tell the tale of his story – and to relay a valuable message to hikers of all ilk: If at all possible, avoid hiking alone. If you must hike by yourself, make sure you tell multiple friends or family members where you’re going and when you plan to be back. Additionally, make sure you bring a cell phone or communication device with you. That way, you can get help if you’re hurt or lost. If you’re leaving home for an extended period of time, don’t forget to arm your alarm system. If you don’t already have a monitored security system, consider investing in one. These systems are connected to a central command center, where trained professionals monitor your home for emergencies around the clock – even when you’re not there. Fortunately, technological advancements have made this service affordable for most people. Check out homesecuritysystems.com if you’re interested in learning more.